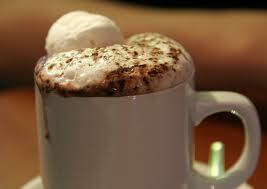 Youth Spot: It's Wintry out there... Time for Hot Chocolate giveaways!!! It's Wintry out there... Time for Hot Chocolate giveaways!!! Hey people, it's winter...boo... And you didn't have school today... boo, I know you're all upset but don't worry, we've got youth group tomorrow. 6:30 at the church. We're going do some planning for our hot chocolate giveaway coming up on December 9th. So come ready to do a little organizing and brainstorming. I've got Tim Tams and Marshmallows so we'll do some hot chocolate testing and celebrate hot chocolate season together. See you there.